Step 1: Download TNM Smart App on your phone on google. You can also follow this link which will take you TNM Smart App play store download page. 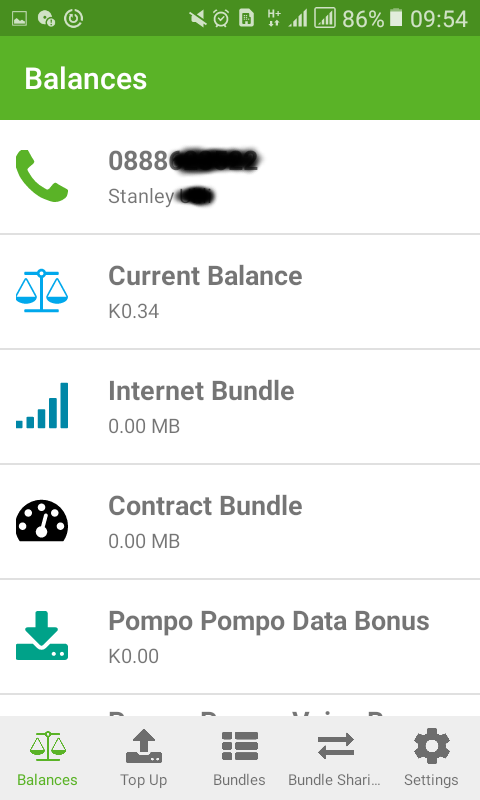 Step 3: On the bottom menu, click on "Bundle Sharing" surrounded with red ink as shown in the picture below. Step 6: Click on the "+" icon to add a beneficially. A beneficially is a person who you will share your data bundle with. When you click on the "+" button, it will open your phone contact manager which will allow you to select the number of the beneficially. Step 7: Once the number has been selected, you will be required to enter your Smart App password again. After you enter your password, click "Add". Step 8: If you followed all the steps, then the beneficially phone number will be added and he/she will be able to use your data. You and the beneficially will receive a confirmation message once activated. Note: You can add as many beneficially as you wish. 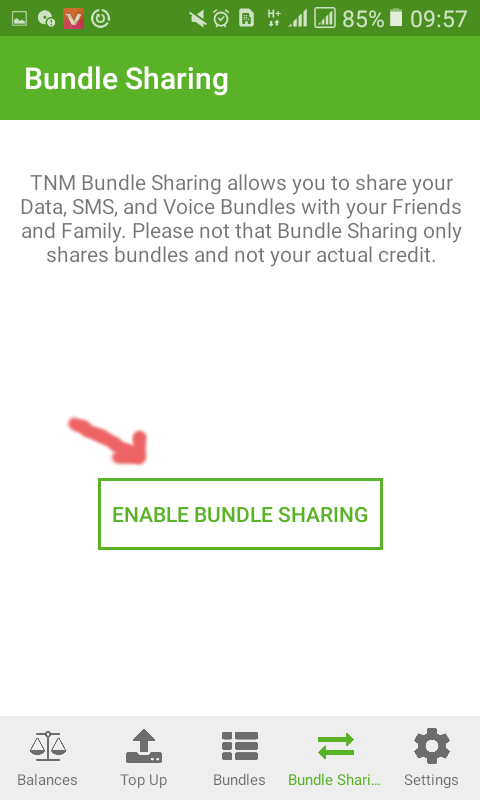 TNM bundle sharing allows you to share data bundles you have with your family and friends. You can share your TNM data bundles with other TNM numbers in these easy steps: **Step 1**: Download TNM Smart App on your phone on google. You can also follow [this link](https://play.google.com/store/apps/details?id=mw.co.tnm.topup.tnmsmartapp&hl=en) which will take you TNM Smart App play store download page. 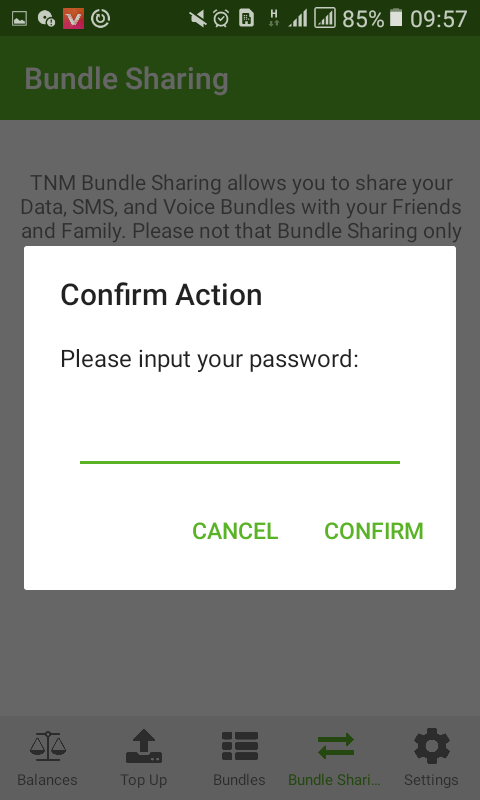 **Step 2**: Install and create your account on TNM Smart App. Make sure you are logged into your account. When you are logged in you should see something like the screenshot below: ! [Smart app home screen](https://i.imgur.com/dUuKkxH.png) **Step 3**: On the bottom menu, click on "Bundle Sharing" surrounded with red ink as shown in the picture below. ! [data sharing menu](https://i.imgur.com/n3VQ6wj.png) **Step 4**: Click on "Enable data sharing" menu ! [enable data sharing](https://i.imgur.com/Z0Xmgjp.png) **Step 5**: Enter your password(the password you used to create your Smart App account) ! [password enter](https://i.imgur.com/rARLFZF.png) **Step 6**: Click on the "+" icon to add a beneficially. A beneficially is a person who you will share your data bundle with. ! 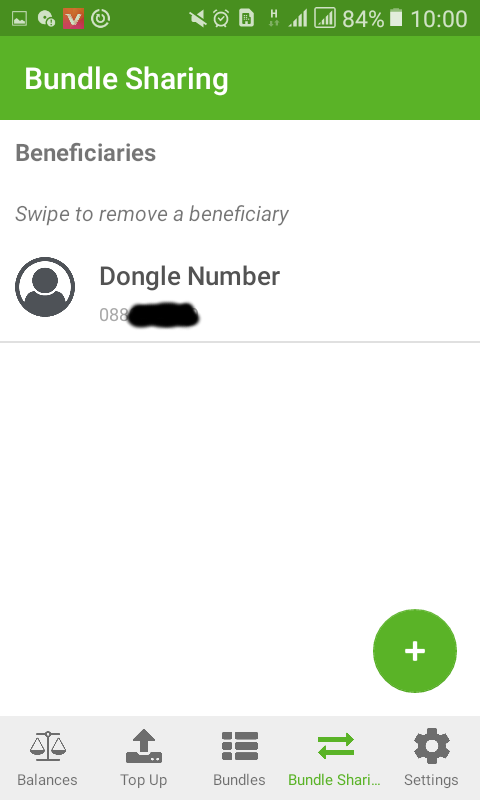 [add beneficially](https://i.imgur.com/vwo19tt.png) When you click on the "+" button, it will open your phone contact manager which will allow you to select the number of the beneficially. **Step 7**: Once the number has been selected, you will be required to enter your Smart App password again. After you enter your password, click "Add". ! 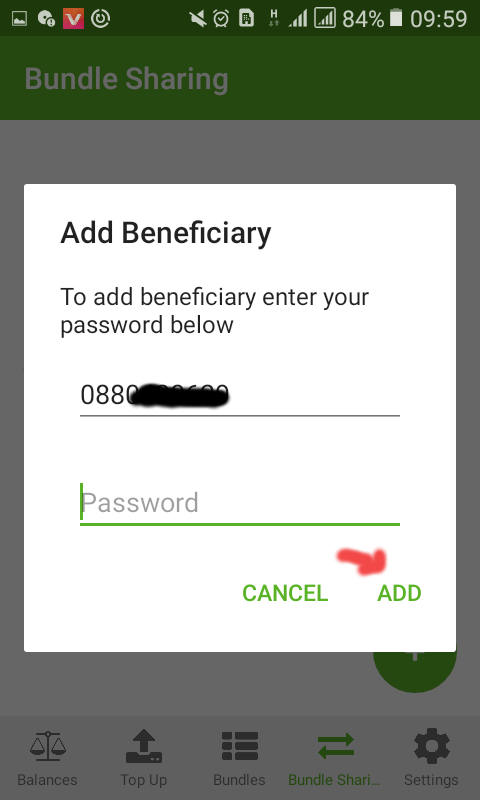 [add beneficially](https://i.imgur.com/bnHiAm6.png) **Step 8**: If you followed all the steps, then the beneficially phone number will be added and he/she will be able to use your data. You and the beneficially will receive a confirmation message once activated. ! 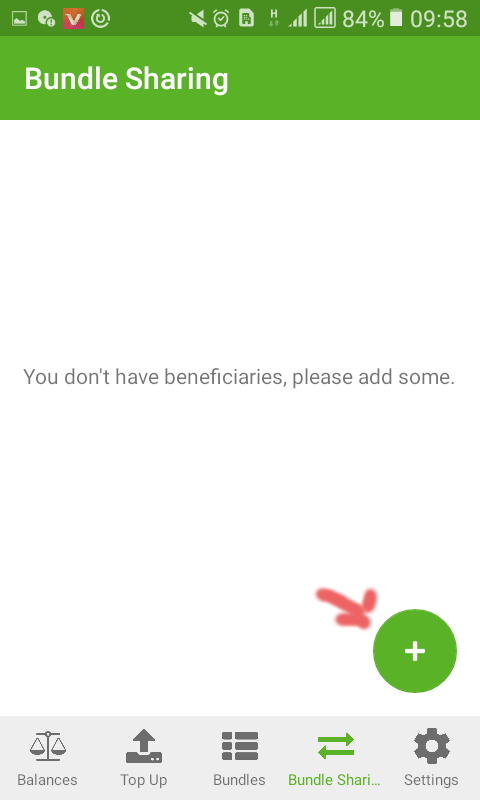 [beneficially](https://i.imgur.com/fu5Uw96.png) Note: You can add as many beneficially as you wish. Can I also share my airtime with this method? No, you will only share your data bundle. 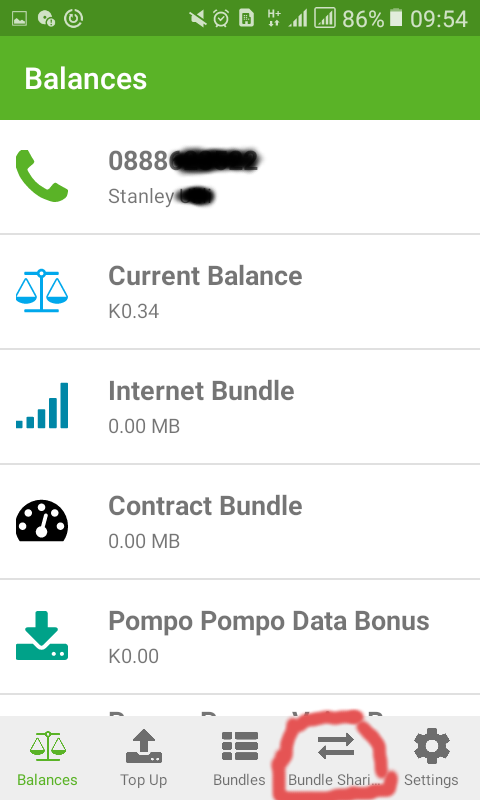 Is there a way to temporary turn off data sharing without removing the beneficiaries? Yes, Click on "settings" and disable bundle sharing. I will write a post about how to do that soon with screenshots if you are a visual learner.